Stevie Nicks and Dave Stewart will both be part of Absolute Radio's fifth birthday celebrations after agreeing to host special shows. The two will present an edition each of Absolute Radio Icons, a brand new mini series launching on September 23 and going out at 11pm from Monday to Thursday that week in which a different star will host each night. Fleetwood Mac star Nicks will kick off the series next Monday (September 23), while Arctic Monkeys will present next Tuesday (24), Kings Of Leon on the Wednesday (25) and Dave Stewart on the Thursday (26). In the cases of the Nicks and Stewart episodes, the programmes will also go out on their respective nights at 8pm on Absolute's Absolute Classic Rock digital station. 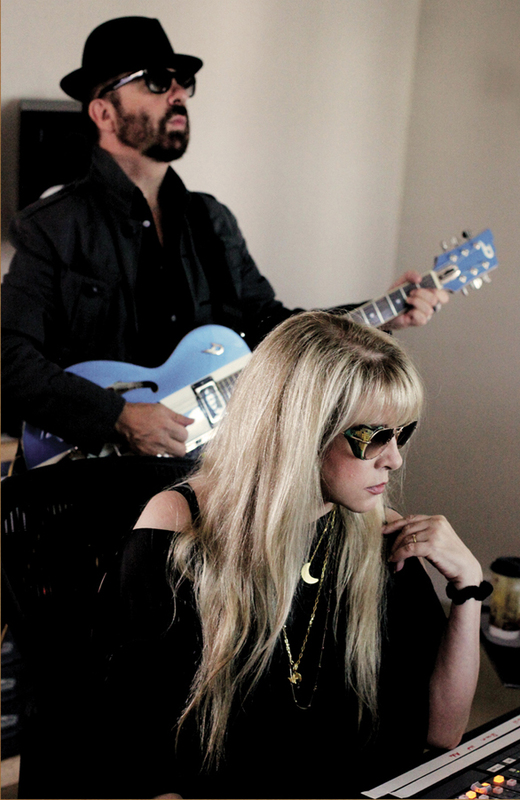 Nicks will talk about her new documentary In Your Dreams made with Stewart, her work with Fleetwood Mac, including their current world tour, and her solo work. Stewart's show will include him discussing his new album Lucky Numbers, which is due out in October, and him writing Ghost the Musical plus his work on Nicks' film. Other specials taking place to mark five years since Virgin Radio became Absolute Radio include Primal Scream playing the Hard Rock Cafe this coming Thursday (September 19) and a broadcast at 9pm next Sunday (September 22) of Kings Of Leon playing at The NIA in Birmingham. This was recorded exclusively just after the station's launch in 2008. In anticipation of the upcoming Absolute Radio Icons show with Stevie Nicks, Absolute Radio is giving away tickets to the highly anticipated return of the unstoppable Fleetwood Mac. John McVie, Lindsey Buckingham and Stevie Nicks are back in the UK for a run of live shows and you could win a pair to the sold out show at Manchester Arena on Tuesday, 1st October.